Tim Hedrick in the 2011 Findlay Market Opening Day parade. 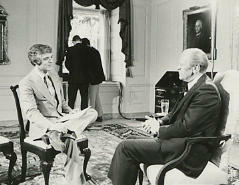 Nick Clooney interviews President Gerald Ford on June 2, 1976. 1. Meteorologist Tim Hedrick, arguably the city's most popular TV personality in the 1990s and early 2000s, died too young of cancer at 55 in 2016. 2. 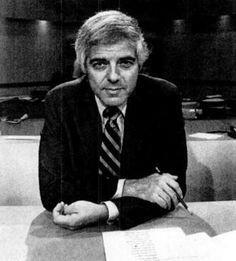 Nick Clooney, who hosted a live variety show in the early 1970s, returned to anchor Channel 12's newscasts in 1976. His Channel 12 newscast ended Al Schottelkotte's 22-year streak in first place at 11 p.m. in 1982. 3. Ken Anderson, the former Bengals quarterback, briefly was a Channel 12 sports anchor. 4. John Lomax is Channel 12's longtime Good Morning Cincinnati anchor. Bob Shreve hosted late-night movies on Channel 12, 9 and 5. 5. Past Prime Playhouse Saturday night movies were hosted by Bob Shreve. 6. Cammy Dierking, who anchored mornings for years, moved to evening newscasts in 2010. 7. Aly Cohen was a sports reporter until March, when her three-year contract expired and she returned home to Pittsburgh. 8. Debra Silberstein was Rob Braun's co-anchor in the late 1980s. 9. Kit Andrews was promoted from the morning news to replace Silberstein. She left WKRC-TV in 2014 after 33 years. 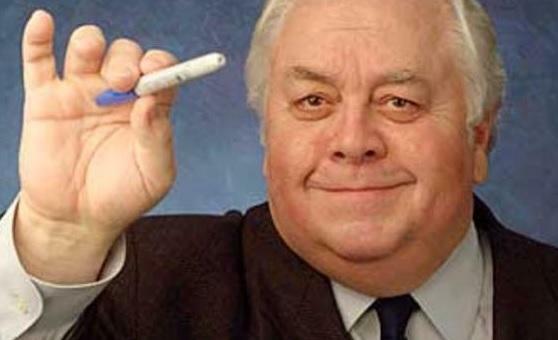 Ira Joe Fisher wrote his weather forecasts backwards at Channel 12 and later on CBS. 10. Ira Joe Fisher, the backwards-writing TV weatherman in the 1970s, came back to the station to host a live weekday variety show in the late 1980s. 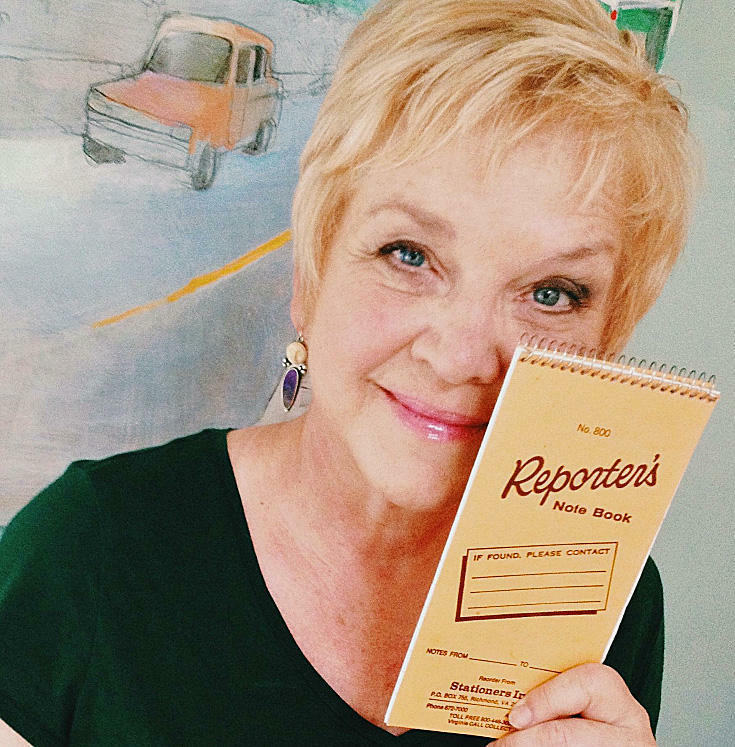 Reporter Deb Dixon retired in 2018. 11. Deb Dixon, Cincinnati TV's premiere crime reporter, retired in 2018 after 44 years. 12. Weekend sports were anchored by Harvey Smilovitz, who had one of Cincinnati TV's most distinctive names. 13. 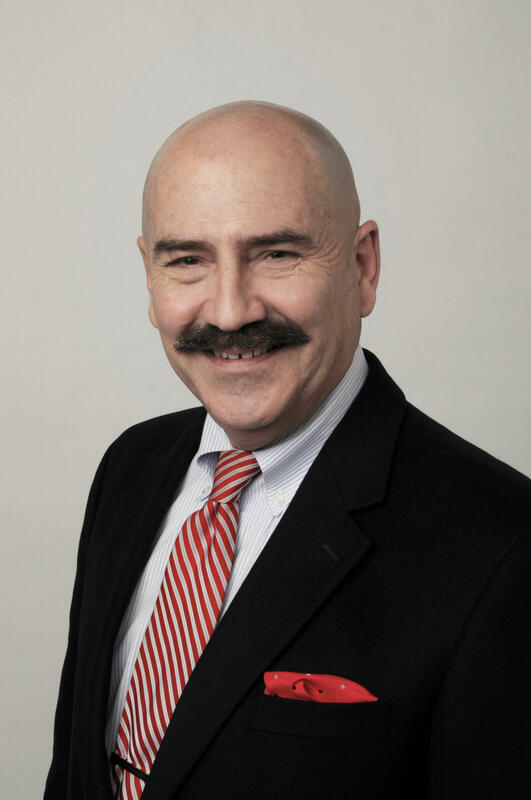 Features reporter George Ciccarone left in the late 1980s to work for A Current Affair and Hard Copy. 14. Pete Rose was a Channel 12 sports analyst in 1982, when Clooney anchored newscasts. 15. "Troubleshooter" consumer reporter Howard Ain joined Channel 12 in 1975 from Dayton. Brad Johansen with Lauren Hill in fall 2014. 16. 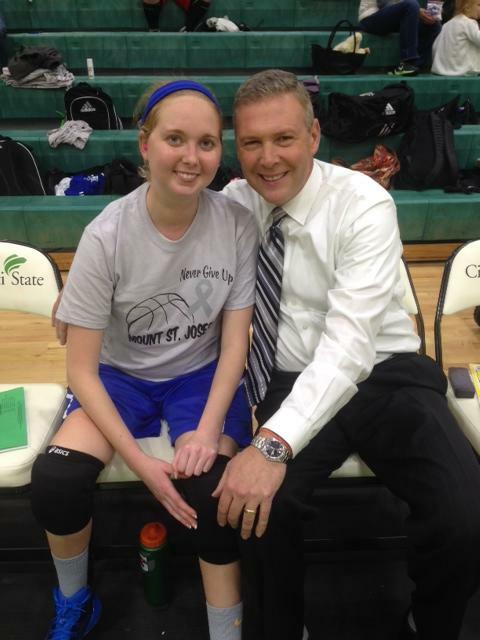 Brad Johansen broke the story in 2014 about Lauren Hill, the Mount St. Joseph University basketball player battling cancer who died in 2015. 17. Channel 12 broadcast Hill's college basketball debut on Nov. 2, 2014, with Johansen doing play-by-play. 18. Joyce Wise was co-host of PM Magazine. 19. Don Burrows was a Channel 12 sports anchor before coaching girls basketball at my alma mater, Fenwick High School. 20. Dennis Janson, first Channel 12's entertainment reporter and later a popular sports anchor, was poached by WCPO-TV in 1984. 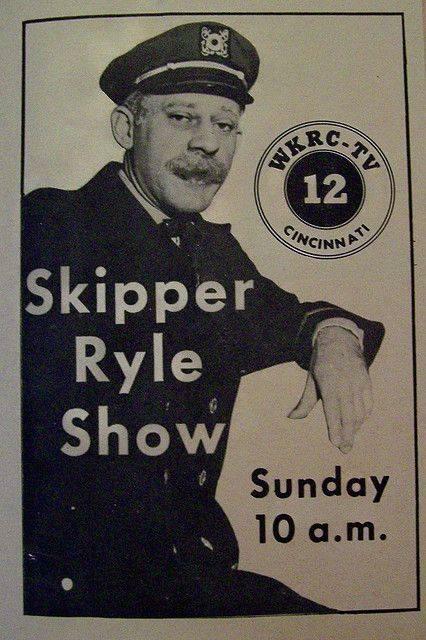 Newspaper advertisement for the 'Skipper Ryle Show,' a children's program hosted by Glenn Ryle. 21. Glenn "Skipper" Ryle enjoyed a long versatile career at WKRC-TV. 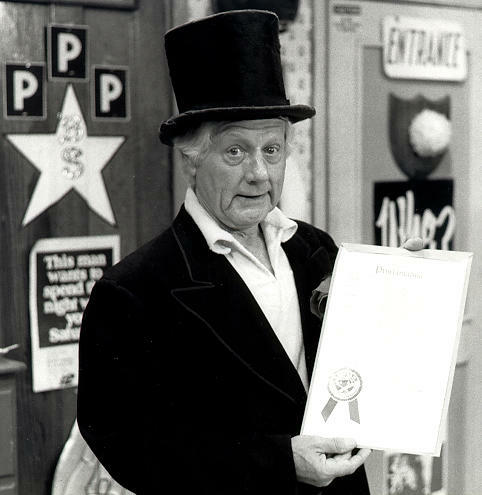 He hosted the Skipper Ryle Show for children, Bowling For Dollars and afternoon movies before doing morning weather reports. 22. Jonny Quest cartoons, which aired during the Skipper Ryle Show, was one of many cartoons from Hanna-Barbera Productions owned by Taft Broadcasting along with The Flintstones, The Jetsons, Scooby-Do and The Smurfs. 23. The Storm, a live half-hour series in 1951-52, gave Serling his start writing dramas for television eight years before he created The Twilight Zone for CBS in 1959. 24. Ken Broo jumped from WLWT-TV to be WKRC-TV's sports anchor and Bengals play-by-play announcer on sister 550 WKRC-AM in 1990. Johansen was named sports director when Broo went to Washington D.C. in 1996. WKRC-TV's "Tall 12" tower, as it was known in the 1960s. 25. 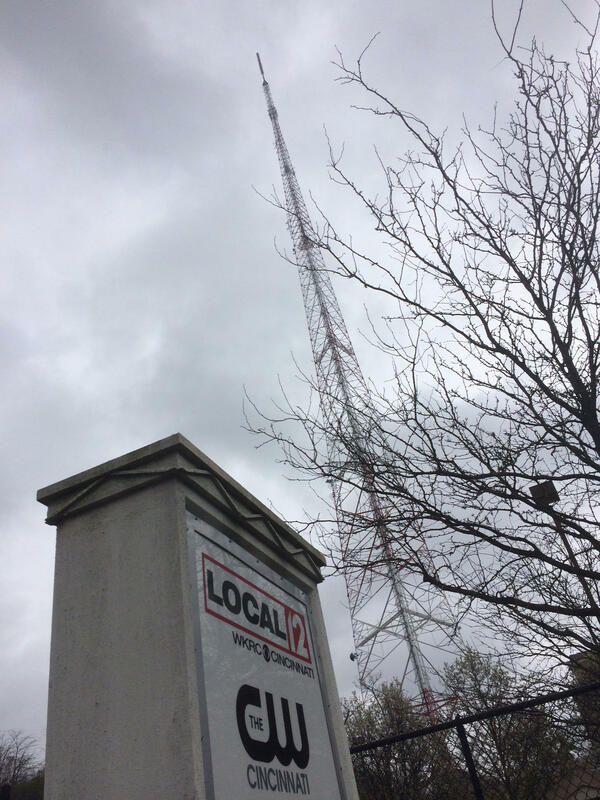 Tall 12 was the station's branding after WKRC-TV moved into new studios at 1906 Highland Ave., in Mount Auburn overlooking I-71. 27. Walt Maher was the sports anchor who suggested to Reds owner Marge Schott that she settle a contract dispute with outfielder Kal Daniels by flipping a coin. She did – live on Channel 12 from Plant City Stadium parking lot in Florida. 28. Saturday morning local TV news, now a fixture, started in 1992 with a two-hour newscast anchored by newcomer Brad Johansen. 29. Larry Davis retired as a Channel 12 reporter last summer after 45 years in radio and TV, including 17 at WKRC-TV. 30. Joe Webb, one of the city's best storytellers, retired last September after 31 years on TV here. 31. Karla Stanley, former Channel 12 reporter, later was WXIX-TV news director. Advertisement for the Kodel Manufacturing Co. in the 1920s. 32. 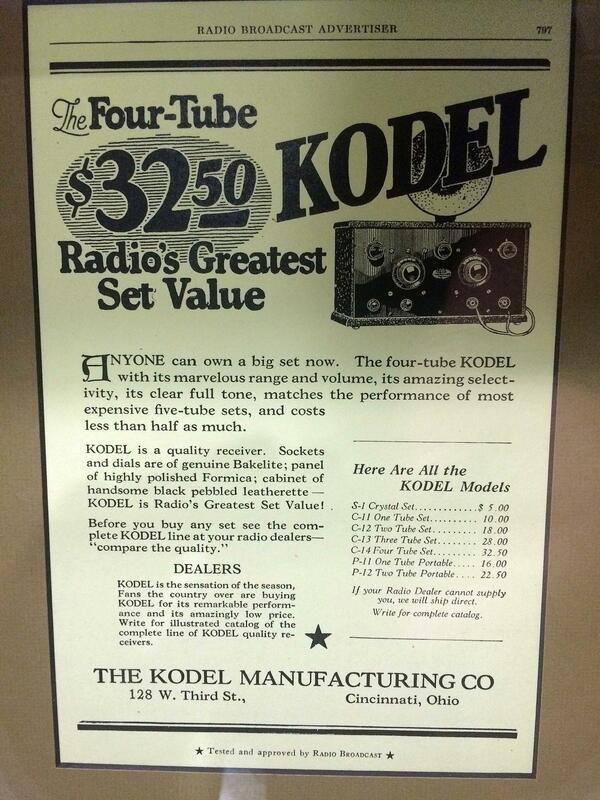 Kodel Radio Company, the Cincinnati radio manufacturer, bought WKRC-AM in 1925, and gave it the "KRC" call letters..
33. Len Goorian, the veteran Cincinnati TV producer, hosted the Len Goorian Show, a Channel 12 talk show in the early 1960s. 34. Ron Liebau was an assistant news director at Channel 12 between stints at the Cincinnati Post and Cincinnati Enquirer. 35. Liz Bonis, health reporter and frequent anchor, hosts What's Happening In Health at 6 a.m. Sunday. 36. EDGE, or the Electronic Data Gathering Equipment,was Channel 12's first live remote truck which arrived weeks before the 1977 Beverly Hills Supper Club fire. 37. 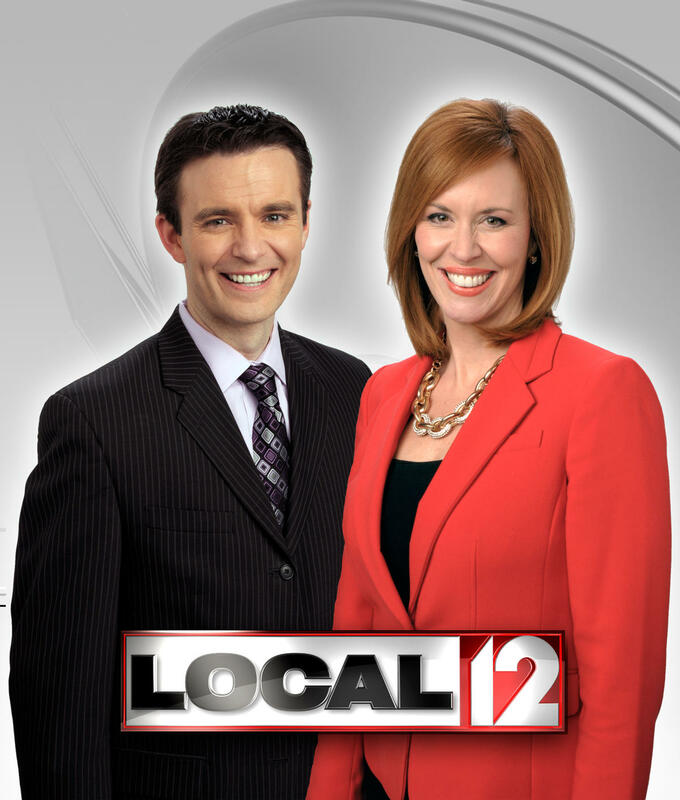 Bob Herzog, the former WSTR-TV movie host, has become one of Local 12's most popular personalities as a morning TV anchor. 38. Jon Lawhead, a former WXIX-TV manager, took over as general manager for WKRC-TV, CW sister 12.2 and WSTR-TV in 2012. 'Good Morning Cincinnati' anchors Bob Herzog and Sheila Gray in 2015. 39. Sheila Gray was lured by Lawhead from WXIX-TV to WKRC-TV when her contract expired in 2013. 40. Rob Braun, son of longtime WLWT-TV entertainer Bob Braun, joined Channel 12 in the 1980s after his dad's station passed on hiring him. 41. Scott Dimmich was weekend meteorologist until December 2017. 42. Randy Little, who was named main anchor when Clooney left for Los Angeles in 1984, moved over to WCPO-TV when Clooney returned three years later. 43. Sydney Benter was 10 p.m. news anchor before leaving for Austin, Texas, in 2017. 44. Bev White, a 1980s morning anchor, went to KNBC-TV in Los Angeles. Advertisement in Cincinnati Gardens hockey program in 1949. 45. WKRC-TV premiered three days late. 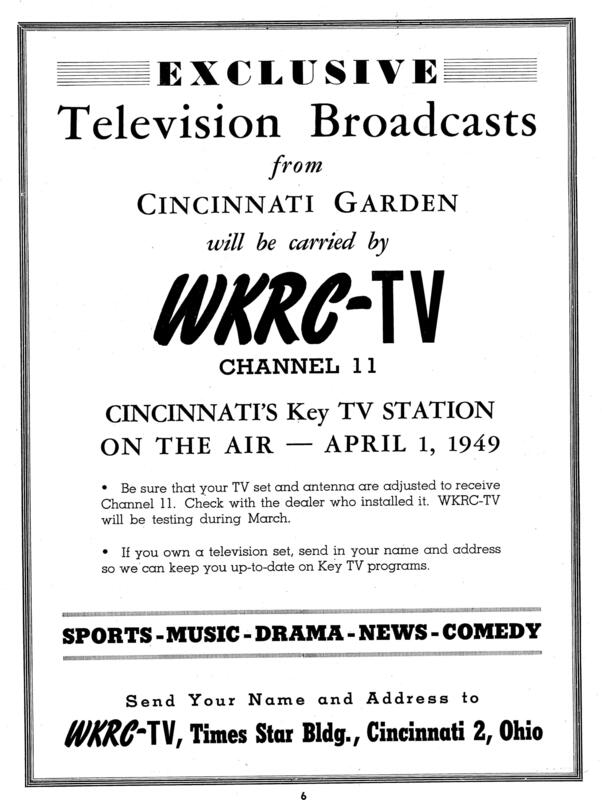 The plan was to start broadcasting on April 1, 1959, as noted in a full-page advertisement in a hockey program for the new Cincinnati Gardens, which opened in on Feb. 22, 1949. 46. To the Bat Cave! A few years after WKRC-TV switched from CBS to ABC in 1961, Channel 12 benefited from strong ratings for Batman and Bewitched in 1966, and Happy Days, Three's Company, Laverne & Shirley and The Love Boat in the 1970s. 47. ABC's Olympics, both winter and summer, aired on Channel 12 in the 1970s and '80s, before it switched back to CBS network programming in 1996. 48. CSI, CSI: Miami, Everybody Loves Raymond, 60 Minutes, Survivor and other CBS hits drew strong ratings for Channel 12 in fall 1996 after swapping networks again with WCPO-TV. Deb Dixon on the job in 1984. 49. 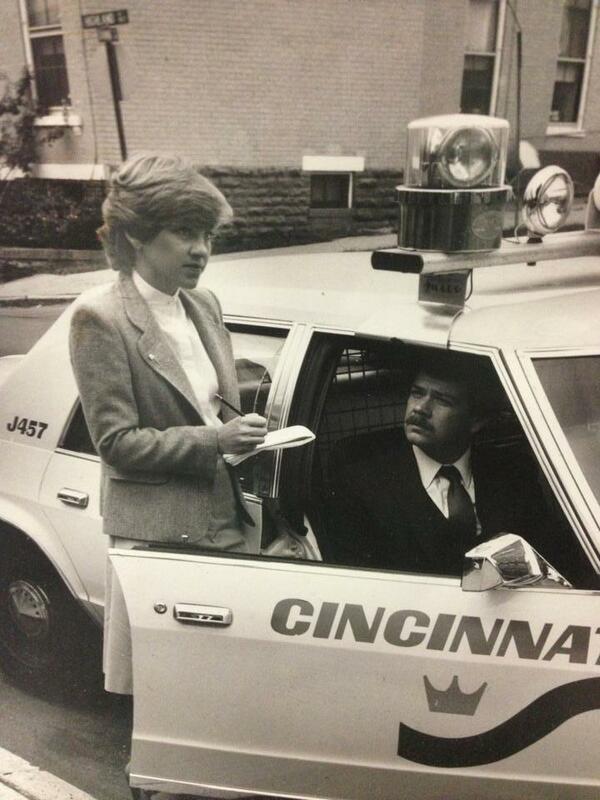 CrimeStoppers, the community support for police, started here in 1980 through the efforts of reporter Deb Dixon. 50. The "Wheel of Justice" also was started by Dixon, who taped fugitives' mug shots on a gaming wheel and spun it for the random selection of a bad guy targeted for arrest weekly on Channel 12's Good Morning Cincinnati. 51. Edie Magnus, 1980s reporter and weekend anchor, went off to ABC's Nightline, NBC's Dateline, CBS' Eye to Eye with Connie Chung, MSNBC, CNBC, PBS and the syndicated TV bomb USA Today: The Television Show in 1987-89. 52. Harry Traynor worked as Channel 12 assignment editor and newsroom manager. 53. 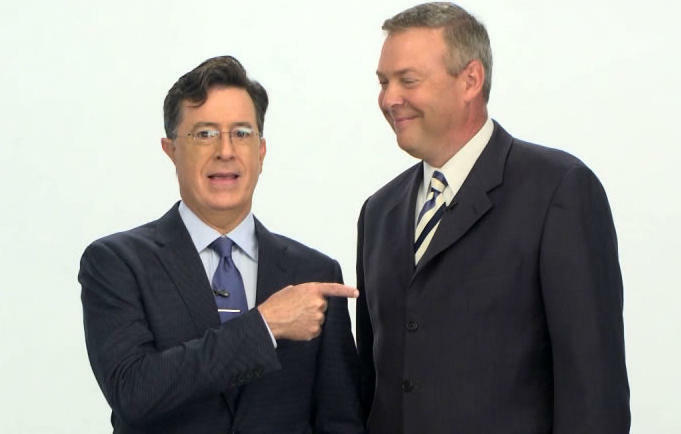 Stephen Colbert's Late Show took CBS' late-night slot after David Letterman retired in 2015. 54. Kyle Inskeep was hired to anchor in 2018 after Johansen left after 26 years to work WRAL-TV in Raleigh, N.C.
55. Steve Horstmeyer, longtime Channel 12 morning meteorologist, moved across town to be chief meteorologist (finally!) in 2008 at WXIX-TV. 56. Bob Jones anchored news in the 1960s. 57. Gary Miller, the former ESPN anchor, was named sports director in 2017 to replace Brad Stienke. 'The Dennis Wholey Show' also aired on Taft's sister station in Columbus. 58. 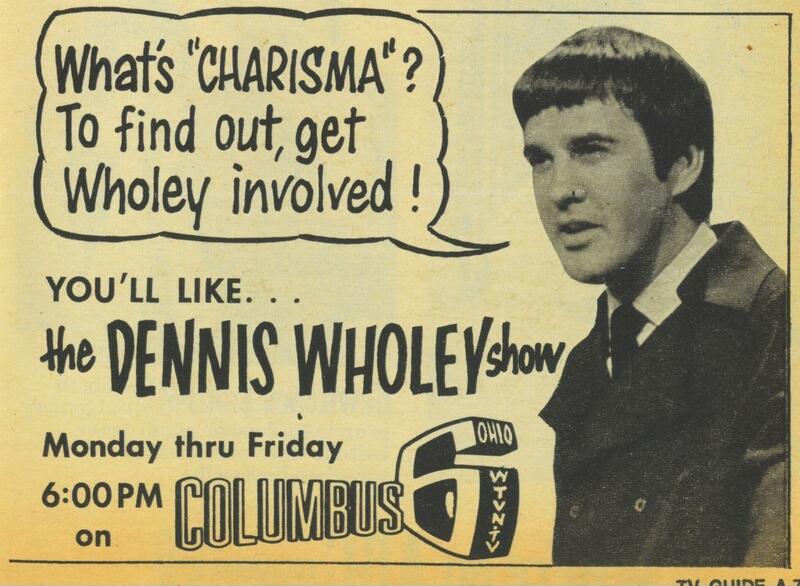 The Dennis Wholey Show was a short-lived 1969 talk-variety show produced by Roger Ailes, best known as the creator of the Fox News Channel. Breaking news reporter Rich Jaffe retired in 2016. 59. Rich Jaffe, who retired in 2016, was a breaking news reporter who appeared on Oxygen's Pike County Family Murders earlier this week. 60. "Let A Friend Break The News" was the 1970s marketing campaign for Clooney's Channel 12 news to compete with no-nonsense Schottelkotte. 61. The New WKRP In Cincinnati, the 1991-93 syndicated revival, aired on WKRC-TV with original cast members Gordon Jump, Frank Bonner and Richard Sanders, plus Mykelti Williamson, Michael Des Barres, French Stewart, Lightfield Lewis and Tawny Kitaen. 62. Dayna Eubanks first anchored Channel 12's 4 p.m. newscast from 1997 to 2007. 63. Braun and Dierking in 2018 read a scripted complaint about "the troubling trend of irresponsible, one-side news stories plaguing our country… (and) some members of the media using their platforms to push their own personal bias and agenda, to control exactly what people think." Owner Sinclair Broadcast Group ordered anchors at several dozen stations to read the same script, with no deviations. 64. WVXU's former interim Cincinnati Edition host Dan Hurley hosted the thought-provoking Newsmakers show, which lost its Sunday time slot to Sinclair's Full Measure with Sharyl Attkisson. 65. Nuestro Rincon was the city's first Spanish language TV newscast anchored by Sasha Rionda in 2004. 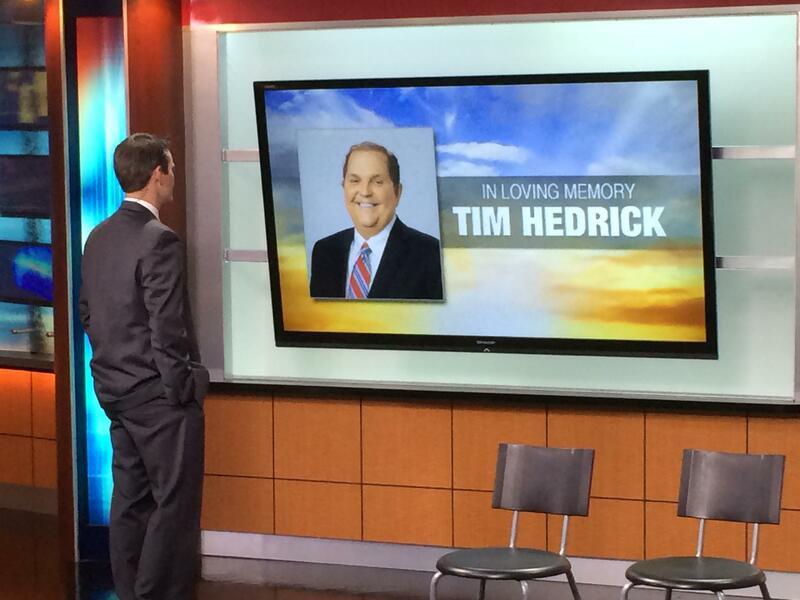 Bob Herzog looking at on-air tribute to Tim Hedrick during a break in the morning newscast. 66. Meteorologist John Gumm took over 11 p.m. forecasts after Hedrick died. 67. Bill Crafton was Channel 12 anchor the night of the Beverly Hills fire in 1977. Nick Clooney at the WKRC-TV anchor desk. 68. Channel 12's "Who-Dos" basketball team, coached by Maher, helped raise lots of money for charities in the 1980s. 69. Kyle Hill was a respected Channel 12 reporter in the 1970s and '80s. 70. "For those you see, and those you don't," as Nick Clooney said at the end of his newscasts.